Times may change, but the dramas of existence don't. 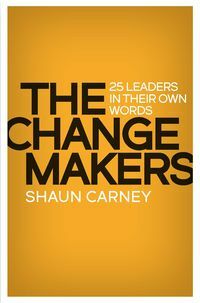 Nobel Minds attests to the power of literature to shape the world. Each year the Nobel Academy awards the Nobel Prize in Literature to a writer whose contribution to literature consistently transcends national boundaries to connect with the human condition. 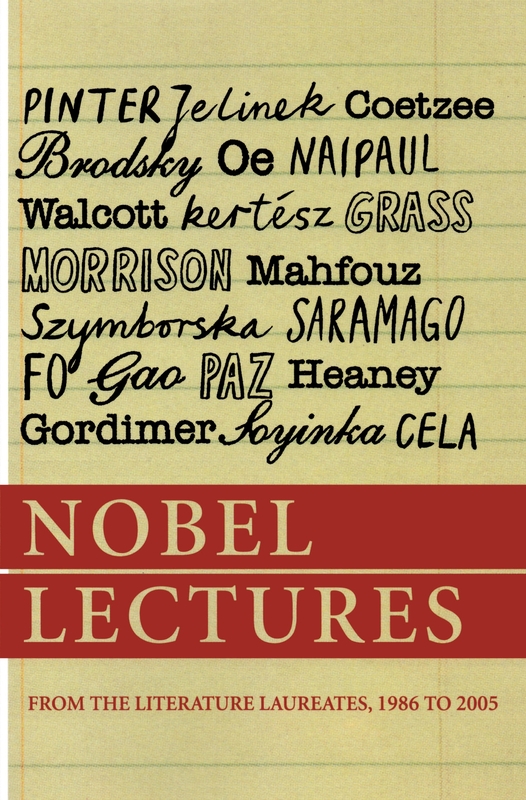 Here are the Nobel lectures by the literature laureates from the past twenty years that altogether offer a glimpse into the inspirations, motivations and passionately held beliefs of some of the greatest minds in the world of literature. 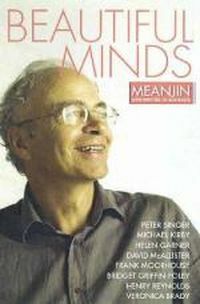 Meditations on imagination and the process of writing mingle with keen discussions of global politics, cultural change and the ongoing influence of the past. All the writers demonstrate in their essays lyrical beauty and ethical depth; the result is an intelligent and humanistic integrity. From Harold Pinter, we hear about the nature of truth in art and politics. 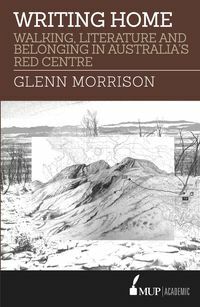 Toni Morrison explores the link between language and oppression. Kenzaburo Oe provides insight into the effects of the opposing forces of modernisation and tradition in his home country of Japan, and J. M. Coetzee takes an allegorical journey through the mysteries of the creative process. 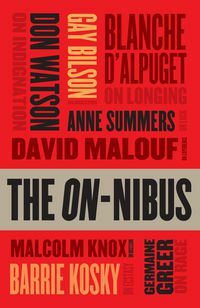 V. S. Naipaul outlines his experience of living and writing in two different cultures, while Nadine Gordimer ponders the ways in which literature can shape the worlds of individual and collective being. Times may change, but the dramas of existence don't. 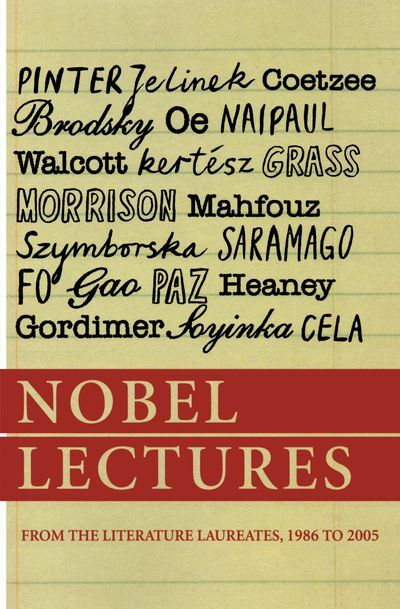 Whatever medium the laureates write in, be it poetry, plays or prose, and whatever their cultural or social background, Nobel Lectures attests to the power of literature to shape the world.